It is a well-established fact that that wettability alteration toward more wetness condition could resultants in improve oil recovery. Understanding the wettability alteration mechanisms in multiphase flow in porous media is crucial for the efficient development of enhanced oil recovery techniques. Chemical solution such as surfactant increase the water wetness of rock surface which increase the relative permeability of the oil phase. However, the wetting states of reservoir is determining how the fluids are distributed in the pore space. A key aspect of wettability alteration process isinteractions in crude oil-brine-rock systemwhich is characterized by severalmethods. The purpose of a review is to analyze critically a modification of wettability characteristics in terms of chemical EOR methods. It consists of chemical materials, characterization methods, and EOR mechanisms. To identify any factors which are influencing the wettability of rock surface during chemical injection, responsible mechanisms involved in. Austad T, Milter J. Spontaneous imbibition of water into low permeable chalk at different wettabilities using surfactants. Paper SPE 37236 presented at the SPE International Symposium on Oilfield Chemistry, Houston, 18–21 February; 1997. http://dx.doi.org/10.2118/37236-MS.
 Austad T, Standnes DC. Spontaneous imbibition of water into oil-wet carbonates. J Pet Sci Eng 2003;39(3–4):363–76. http://dx.doi.org/10.1016/S0920-4105 (03)00075-5. Austad T, Strand S, Høgnesen EJ, Zhang P. Seawater as IOR fluid in fractured chalk. Paper SPE 93000 presented at the SPE International Symposium on Oilfield Chemistry, Houston, 2–5 February; 2005. http://dx.doi.org/10.2118/93000-MS.
 Babadagli T. Temperature effect on heavy-oil recovery by imbibition in fractured reservoirs. J Pet Sci Eng 1996; 14(3):197–208. Babadagli T. Scaling of co-current and counter-current capillary imbibition for surfactant and polymer injection in naturally fractured reservoirs. SPE J 2001; 6(4):465–78. http://dx.doi.org/10.2118/74702-PA [SPE-74702-PA]. Babadagli T. Dynamics of capillary imbibition when surfactant, polymer, and hot water are used as aqueous phase for oil recovery. J. Colloid Interface Sci. 2002; 246(1):203–13. Babadagli T. Analysis of oil recovery by spontaneous imbibition of surfactant solution. Paper SPE 84866 presented at SPE International Improved Oil Recovery Conference in Asia Pacific, Kuala Lumpur, Malaysia, 20–21 October; 2003. Babadagli T. Selection of proper enhanced oil recovery fluid for efficient matrix recovery in fractured oil reservoirs. Colloids Surf A Physicochem. Eng. Asp. 2003; 223(1–3):157–75. Babadagli T. Analysis of oil recovery by spontaneous imbibition of surfactant solution. Oil Gas Sci Tech — Rev IFP 2005; 60(4):697–710. Babadagli T, Al-Bemani A, Boukadi F. Analysis of capillary imbibition recovery considering the simultaneous effects of gravity, low IFT, and boundary conditions. Paper presented at the SPE Asia Pacific Improved Oil Recovery Conference, Kuala Lumpur, Malaysia, 25–26 October; 1999. http://dx.doi.org/10. 2118/57321-ms.
 Benzagouta MS, Al Nashef IM, Karnanda W, Al-Khidir K. Ionic liquids as novel surfactants for potential use in enhanced oil recovery. Korean J. Chem. Eng. 2013; 30(11):2108–17. Bobek JE, Mattax CC, Denekas MO. Reservoir rock wettability—its significance and evaluation. Pet Trans AlME 1958; 213:155–60. Wagner OR, Leach RO. Improving oil displacement efficiency by wettability adjustment. SPE-1101-G. Trans AIME 1959; 216:65–72. Salathiel RA. Oil recovery by surface film drainage in mixed-wettability rocks. J Pet Technol 1973; 25:1216–24. http://dx.doi.org/10.2118/4104-PA.
 Standnes, D.C., Austad, T. Wettability alteration in chalk 2: mechanism for wettability alteration from oil-wet to water-wet using surfactants. J. Pet. Sci. Eng. 2000; 28(3): 123–43. http://dx.doi.org/10.1016/S0920-4105(00)00084-X. Chen HL, Lucas LR, Nogaret LAD, Yang HD, Kenyon DE. Laboratory monitoring of surfactant imbibition using computerized tomography. Paper SPE 59006 presented at the SPE/DOE International Petroleum Conference and Exhibition in Mexico, Villahermosa, Mexico, 1–3 February; 2000. http://dx.doi.org/10.2118/59006-MS.
 Høgnesen EJ, Olsen M, Austad T. Capillary and gravity dominated flow regimes in displacement of oil from an oil-wet chalk using cationic surfactant. Energy Fuels 2006; 20(3):1118–22. http://dx.doi.org/10.1021/ef050297s. Standnes DC, Austad T. Wettability alteration in carbonates: interaction between cationic-surfactant and carboxylates as a key factor in wettability alteration from boil-wet to water-wet conditions. Colloids Surf A Physicochem. Eng. Asp. 2003; 216(1–3):243–59. http://dx.doi.org/10.1016/S0927-7757 (02)00580-0. Standnes DC, Austad T. Nontoxic low-cost amines as wettability alteration chemicals in carbonates. J. Pet. Sci. Eng. 2003; 39(3–4):431–46. http://dx.doi.org/10. 1016/S0920-4105(03)00081-0. Golabi E, Azad FS, Ayatollahi, S.S. Chemical induced wettability alteration of carbonate reservoir rocks. Int J Sci Eng Res 2009; 6(1):66–73. Xie X, Weiss W W, Tong Z,M Norrow NR. Improved oil recovery from carbonate reservoirs by chemical stimulation. Paper SPE 89424, Proc. of the Symposium on Improved Oil Recovery, Tulsa, 17–21 April; 2004. http://dx.doi.org/10.2118/ 89424-MS.
 Stoll WM, Hofman JP, Ligtheim DJ, Faber MJ, Hoek PVP. Toward field-scale wettability modification— the limitation of diffusive transport. SPE Reservoir Eval Eng 2008; 11(3):633–40. http://dx.doi.org/10.2118/107095-PA [SPE-107095-PA]. Tabatabal A, Gonzalez MV, Harwell JH, Scamehorn JF. Reducing surfactant adsorption in carbonate reservoirs. SPE Res Eng 1993; 8(2):117–22. http://dx.doi.org/10. 2118/24105-PA [SPE-24105-PA]. Seethepalli A, Adibhatla B, Mohanty KK. Physico-chemical interactions during surfactant flooding of fractured carbonate reservoirs. SPE J. 2004; 9(4):411–8. http://dx.doi.org/10.2118/89423-PA [SPE-89423-PA]. Spinler EA, Baldwin BA. Surfactant induced wettability alteration in porous media. In: Schramm LL, editor. Surfactants: fundamentals and applications in the petroleum industry. Cambridge, UK: Cambridge University Press; 2000. p. 159–202. Jarrahian, Kh., Seiedi, O., Sheykhan, M., Vafaie Sefti, M., and Ayatollahi. S. S. 2012. Wettability alteration of carbonate rocks by surfactants: A mechanistic study. Colloids Surf. A Physicochem. Eng. Aspects 410:1–10. Hou, B. F., Wang, Y. F., and Huang, Y. 2015. Mechanistic study of wettability alteration of oil-wet sandstone surface using different surfactants. Appl. Surf. Sci. 330:56–64. Liu W, Zhao T, Zhang Y, Wang H, Yu M. The physical properties of aqueous solutions of the ionic liquid [BMIM] [BF4]. J. Solution Chem .2006; 35(10):1337–46. Gupta R, Mohanty K. K. Wettability alteration mechanism for oil recovery from fractured carbonate rocks. Transp Porous Media 2011; 87(2):635–52. Adibhatla B, Mohanty KK. Oil recovery from fractured carbonates by surfactant-aided gravity drainage: laboratory experiments and mechanistic simulations. SPE Reservoir Eval. Eng. 2008;11(1):119–30. http://dx.doi.org/10.2118/99773-PA [SPE-99773-PA]. Hirasaki G, Zhang DL. Surface chemistry of oil recovery from fractured, oil-wet, carbonate formation. SPE J 2004;9(2):151–62. http://dx.doi.org/10.2118/110204-PA.
 Zhang DL, Liu S, Puerto M, Miller CA, Hirasaki G. Wettability alteration and spontaneous imbibition in oil-wet carbonate formations. J. Pet. Sci. Eng. 2006; 52(1–4): 213–26. http://dx.doi.org/10.1016/j.petrol.2006.03.009. Pinto MF. Wettability alteration in carbonates by surfactants, the effect of interfacial tension on this process and reflex in porous media behavior. Paper SPE OTC 24470 presented at SPE Offshore Technology Conference, Rio de Janeiro, Brazil, Malaysia, 29–31 October; 2013. Zhang J, Nguyen QP, Flaaten AK, Pope GA. Mechanisms of enhanced natural imbibition with novel chemicals. Paper SPE113453 presented at the SPE/DOE Symposium on Improved Oil Recovery, Tulsa, 20–23 April; 2008. http://dx.doi.org/10. 2118/113453-MS.
 Najafabadi NF, Delshad M, Sepehrnoori K, Nguyen QP, Zhang J. Chemical flooding of fractured carbonates using wettability modifiers. Paper SPE 113369 presented at the SPE/DOE Symposium on Improved Oil Recovery, Tulsa, 20–23 April; 2008. http://dx.doi.org/10.2118/113369-MS.
 Takahashi S, Kovscek AR. Spontaneous countercurrent imbibition and forced displacement characteristics of low-permeability, siliceous shale rocks. J Pet Sci Eng 2010; 71(1):47–55. Takahashi S, Kovscek AR. Wettability estimation of low-permeability, siliceous shale using surface forces. J Pet Sci Eng 2010; 75(1):33–43. Cao M. wettability alteration of heavy oil bitumen containing carbonates by use of solvents, high pH solution and nano/ionic liquids. Paper SPE 183646 presented at SPE Offshore Technology Conference, Rio de Janeiro, Brazil, Malaysia, 27–29 October; 2015. Bernard, G., 1967, Effect of Floodwater Salinity on Recovery of Oil from Cores Containing Clays, Paper SPE 1725 presented at the SPE California Regional Meeting, 26-27 October, Los Angeles, California. Wetting Behavior and Oil Recovery by Waterflooding, SPE 36680, SPE RE, 12 (4), 269-276. McGuire, P.L., Chatham, J.R., Paskvan, F.K., Sommer, D.M., and Carini, F.H., 2005, Low Salinity Oil Recovery: An Exciting New EOR Opportunity for Alaska’s North Slope, Paper SPE 93903 presented at SPE Western Regional Meeting, 30 March-1 April, Irvine, California. Lager, A., Webb, K.J., Black, C.J.J., Singleton, M., and Sorbie, K., 2008, Low Salinity Oil Recovery – An Experimental Investigation, Petrophysics, 49(1), 28-35. Agbalaka, C.C., Dandekar, A.Y., Patil, S.L., Khataniar, S., and Hemsath, J.R., 2009, Coreflooding Studies to Evaluate the Impact of Salinity and Wettability on Oil Recovery Efficiency, Transport in Porous Media, 76, 77-94. Boussour, S., Cissokho, M., Cordier, P., Bertin, H., and Hamon, G., 2009, Oil Recovery by Low Salinity Brine Injection: Laboratory Results on Outcrop and Reservoir Cores, Paper SPE 124277 presented at the SPE Annual Technical Conference and Exhibition, 4-7 October, New Orleans, Louisiana. Ligthelm, D.J., Gronsveld, J., Hofman, J.P., Brussee, N.J., Marcelis, F., and van der Linde, H., 2009, Novel Waterflooding Strategy by Manipulation of Injection Brine Composition, Paper SPE 119835 presented at the EUROPEC/EAGE Conference and Exhibition, 8-11 June, Amsterdam, The Netherlands. Hughes, D., Larsen, S., and Wright, R., 2010, Review of Low Salinity Flooding, Synergy Report Conducted for DECC (British Department of Energy and Climate Change), Document A10DEC015A. Exhibition, 23-26 May, Vienna, Austria. Wettability Modification by Low Salinity, Petrophysics, 51, 314-322. Hassenkam, T., Pedersen, C.S., Dalby, K., Austad, T., and Stipp, S.L.S., 2011, Pore scale observation of low salinity effects on outcrop and oil reservoir sandstone, Colloids and Surfaces A: Physicochem. Eng. Aspects, 390, 179-188. Suijkerbuijk, B.M.J.M., Hofman, J.P., Ligthelm, D.J., Romanuka, J., Brussee, N., Van der Linde, H.A., and Marcelis, A.H.M, 2012, Fundamental investigations into wettability and low salinity flooding by parameter isolation, Paper SPE 154204 presented at the 18th SPE IOR Symposium, 14-18 April, Tulsa, Oklahoma, USA. Nasralla, R. A., Bataweel, M. A., & Nasr-El-Din, H. A., 2013, Investigation of Wettability Alteration and Oil-Recovery Improvement by Low-Salinity Water in Sandstone Rock. 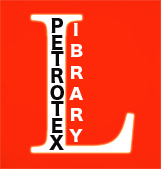 Journal of Canadian Petroleum Technology, Vol. 52, pp.144 -154. . doi:10.2118/146322-PA.
 Mahani, H., Berg, S., Ilic, D., Bartels, W-B., and Joekar-Niasar, V., 2015, Kinetics of Low-Salinity- Flooding Effect, Society of Petroleum Engineers Journal, 20 (1): 8-20. doi:10.2118/165255-PA.
 Jadhunandan, P.P., & Morrow, N. R., 1995, Effect of wettability on waterflood recovery for crude oil/ brine/ rock system. SPE reservoir engineering, 10(1), 40-46. Austad, T., gupta, A., 2010, Chemical mechanism of low salinity water flooding in sandstone reservoir, SPE, 129767, September, 19-22. Morrow N, Buckley J. Improved oil recovery by low-salinity waterflooding. JPT 2011;63(05):106–12. RezaeiDoust A, Puntervold T, Strand S, Austad T. Smart water as wettability modifier in carbonate and sandstone: a discussion of similarities/differences in the chemical mechanisms. Energy Fuel 2009; 23(9):4479–85. Vledder P, Fonseca JC, Wells T, Lighelm DJ. Low salinity water flooding: proof of wettability alteration on a field wide scale. Paper SPE129564 presented at the SPE Improved Oil Recovery Symposium, Tulsa, Oklahoma, 24–28 April; 2010. Wickramathilaka S, Morrow NR, Howard J. Effect of salinity on oil recovery by spontaneous imbibition. Paper SCA 2010–12 presented at the 24th International Symposium of Core Analysts, Halifax, Canada, 4–7 Oct; 2010. Alameri, W., Teklu, T.W., Graves, R., Kazemi, H., Wettability alteration durong low salinity waterflooding in carbonate reservoir cores. Paper SPE171529 presented at Asia pacific oil & gas conference, Adelaide, Australia, 14–16 October; 2014. Gupta, R., Mohanty, K.K. Wettability alteration of fractures carbonate reservoir. Paper SPE113407 presented at the SPE Improved Oil Recovery Symposium, Tulsa, Oklahoma, 19-23 April; 2008. Khishvand, M., Alizadeh, A. H., Kohshour, O., PIRI, M., PRASAD, R., In situ characterization of wettability alteration and displacement mechanisms governing recovery enhancement due to low-salinity waterflooding. Water Resources Research, 10.1002/2016WR020191. 2017. Haagh, I. S., Martin, E. J., Duits, M. H.G., and Mugele, F. Salinity-dependent contact angle alteration in oil/brine/ silicate systems: the critical role of divalent cations. Langmuir, DOI: 10.1021/acs.langmuir. 6b04470 , 2017. Fernø, M.A., Grønsdal, R., Åsheim, J., Nyheim, A., Berge, M., and Graue, A., 2011, Use of Sulfate for Water Based Enhanced Oil Recovery during Spontaneous Imbibition in Chalk, Energy & fuels, 25: 1697-1706. Hiorth, A., Cathles, L., and Madland, M., 2010, The Impact of Pore Water Chemistry on Carbonate Surface Charge and Oil Wettability. Transport in Porous Media, 85 (1): 1-21. Yousef, A.A., Al-Saleh, S., and Al-Jawfi, M., 2012, The impact of water chemistry on oil recovery from carbonate reservoirs, Paper SPE 154077 presented at the EOR Conference at Oil and Gas West Asia, 16-18 April, Muscat, Oman. Austad, T., Shariatpanahi, S.F., Strand, S., Black, C.J.J. and Webb, K.J., 2011, Conditions for a Low Salinity Enhanced Oil Recovery (EOR) Effect In Carbonate Oil Reservoirs, Energy & Fuels, 26 (1): 569–575. 10–13 November Abu Dhabi, UAE. Brady, P.V., Krumhansl, J.L., and Mariner, P.E. Surface Complexation Modeling for Improved oil recovery, SPE 153744, 2012. Somasundaran, P., and Agar, G.E., 1967, The Zero Point of Charge of Calcite, JCIS, 24, 433 440. Van Cappellen, P., Charlet, L., Stumm, W., and Wersin, P., 1993, A surface complexation model of the carbonate mineral-aqueous solution interface, Geo chemica et Cosmo chemica Acta, 57: 3505-3518. Mielczarski, J.A., Schott, J., and Pokrovsky, O.S., 2006, Surface Speciation of dolomite and calcite in aqueous solutions, Encyclopedia of Surface and Colliod Science, Second Edition, Edited by: P. Somasundaran, Taylor & Francis, Vol. 8, pp. 5965 – 5978. Mielczarski, J.A., Schott, J., and Pokrovsky, O.S., 2006, Surface Speciation of dolomite and calcite in aqueous solutions, Encyclopedia of Surface and Colliod Science, Second Edition, Edited by: P.
Somasundaran, Taylor & Francis, Vol. 8, pp. 5965 – 5978. Heberling, F., Trainor, T.P., Lutzenkirchen, J., Eng, P., Denecke, M.A., and Bosbach, D., 2010, Structure and reactivity of the calcite-water interface, JCIS, 354, 843-857. Prateek Kathel, P., Mohanty, K.K. EOR in Tight Oil Reservoirs through Wettability Alteration. Paper SPE 166281 presented at the SPE Annual Technical Conference and Exhibition held in New Orleans, Louisiana, USA, 30 September–2 October 2013. Facanha, J.M.F., Mhazari, P., Sohrabi, M. Direct observation of low salinity water effect: relationship between micro- dispersion formation and wettability alteration. Paper SPE 183695 presented at the SPE middle East Oil & Gas Show and Conference held in Manama, Kingdom of Bahrain , 6-9 March 2017. Khorsandi, S., Qiao, C., Johns, R.T. Displacement efficiency for low- salinity polymer flooding including wettability alteration. Paper SPE 179695 presented at Improved Oil Recovery Symposium, Tulsa, Oklahoma, USA, 11-13 April, 2016. Shariatpanahi, S.F., Hopkins, P., Aksulu, H., Strand, S., Puntervold, T., and Austad, T. Water Based EOR by Wettability Alteration in Dolomite. DOI:10.1021/acs.energyfuels.5b02239 Energy Fuels, 30, 180−187, 2016. Al Hamed, M., Alzoukani, M., Farhani, A., Badri, M. Dynamic water flooding in carbonates: the role of lodide ions. Paper SPE 188026 presented at the SPE Kingdom of Saudi Arabia Annual Technical Conference and Exhibition held in Dammam, Saudi Arabia, 24-27 April, 2017. Strand S, Puntervolt T, Austad T. Effect of temperature on enhanced oil recovery from mixed-wet chalk cores by spontaneous imbibition and forced displacement using seawater. Energy Fuels 2008; 22 (5):3222–5. http://dx.doi.org/10.1021/ef800244v. Zhang P, Tweheyo MT, Austad T. Wettability alteration and improved oil recovery by spontaneous imbibition of seawater into chalk: impact of the potential determining ions Ca2+, Mg2+, and SO4 2−. Colloids Surf A Physicochem Eng Asp 2007; 301(1–3):199–208. http://dx.doi.org/10.1016/j.colsurfa.2006.12.058. Strand S, Høgensen EJ, Austad T. Wettability alteration of carbonates; effect of potential determining ions (Ca+2, SO4 −2) and temperature. Colloids Surf A Physicochem Eng Asp 2006; 275(1–3):1–10. http://dx.doi.org/10.1016/j.colsurfa.2005.10.061. Yu W, Xie H. A review on nanofluids: preparation, stability mechanisms and applications. J Nanomater 2012; 2012:1–17. http://dx.doi.org/10.1155/2012/435873. Hamedi Shokrlu Y, Babadagli T. Effects of nano-sized metals on viscosity reduction of heavy oil/bitumen during thermal applications. Paper CSUG/SPE 137540 presented at the Canadian Unconventional Resources and International Petroleum Conference, Calgary, Canada, 19–21 October; 2010. Hendraningrat L, Li S, Torsæter O. Effect of some parameters influencing enhanced oil recovery process using silica nanoparticles: an experimental investigation. Paper SPE-165955 presented at SPE Reservoir Characterisation and Simulation Conference and Exhibition, Abu Dhabi, UAE, 16–18 September; 2013. Onyekonwu M, Ologo N. Investigating in use of nanoparticles in enhancing oil recovery. Paper SPE 140744 presented at 34th Annual SPE International Conference and Exhibition held in Tinapa, Calabar, Nigeria, 31 July–August 7; 2010. McElfresh P, Holcomb D, Ector D. Application of nanofluid technology to improve recovery in oil and gas wells. Paper SPE 154827 presented at the SPE International Oilfield nanotechnology Conference, Noordwijk, The Netherland, 12–14 June; 2012. Giraldo J, Benjumea P, Lopera S, Cortes FB, Ruiz MA.Wettability alteration of sandstone cores by alumina-based nanofluids. Energy Fuel 2013; 27(7):3659–65. Karimi A, Fakhroueian Z, Bahramian A, Khiabani NP, Darabad JB, AzimR, et al.Wettability alteration in carbonates using zirconium oxide nanofluids: EOR implications. Energy Fuel 2012; 26(2):1028–36. Williams WC, Bang IC, Forrest E, Hu LW, Buongiorno J. Preparation and characterization of various nanofluids, 2. Proc: NSTI Nanotechnology Conference and Trade Show (Nanotech ’06); 2006. p. 408–11. Safari MEHDI, Jamialahmadi M. Effect of polysilicon nanoparticles on enhanced oil recovery in Iranian oil reservoir. Int J Nano Dimens 2013; 3(3):199–205. Hamedi Shokrlu Y, Babadagli T. Kinetics of the in-situ upgrading of heavy oil by nickel nanoparticle catalysts and its effect on cyclic-steam-stimulation recovery factor. SPE Reserv Eval Eng 2014; 17(3):355–64. http://dx.doi.org/10.2118/170250-PA.
 Tajmiri, M., Ehsani, M. R. “Wettability Alteration of Oil Wet and Water Wet of Iranian Heavy Oil Reservoir by CuO Nanoparticles”, IJCCE, 2017. Maghzi. A., Mohammadi. S., Ghazanfari M.H., Karrat. R., Masihi. M. Monitoring wettability alteration by silica nanoparticles during water flooding to heavy oils in five-spot systems: a pore level investigation. Exp Therm Fluid Sci 2012; 40:168–76. http:// dx.doi.org/10.1016/j.expthermflusci.2012.03.004. Ju. B., Fan. T. Experimental study and mathematical model of nanoparticle transport in porous media. Powder Technol 2009;192(2):195–202. Al-Anssari, S., Barifcani, A., Wang, Sh., Maxim, L., Iglaue, S. Wettability alteration of oil-wet carbonate by silica nanofluid. http://dx.doi.org/10.1016/j.jcis.2015.09.051, Journal of Colloid and Interface Science, 461 (435–442), 2016. Painter P, Williams P, Lupinsky A. Recovery of bitumen from Utah Tar sands using ionic liquids. Energy Fuel 2010; 24(9):5081–8. Wang, W., and Gupta, A. Investigation of the effect of temperature and pressure on wettability using modified pendant drop method. Paper SPE 30544 presented at the 1995 SPE Annual Technical Conference and Exhibition. Dallas. Oct. 22-25, 1995. Hjelmeland OS, Larrondo L.E. Experimental investigation of the effects of temperature, pressure, and crude oil composition on interfacial properties, SPERE, 321; 1986. Al-Hadhrami HS. Thermally induced wettability alteration to improve oil recovery in fractured reservoirs, SPE, Petroleum Development Oman, and Martin J. Blunt, SPE, Imperial College; 2001. Schembre JM, Tang G-Q, Kovscek AR. Interrelationship of temperature and wettability on the relative permeability of heavy oil in diatomaceous rocks. SPE Reservior Eval. Eng. 2006; 9(3):239 50. http://dx.doi.org/10.2118/93831-PA [SPE-93831-PA]. Hamouda AA, Gomari KAR. Influence of temperature on wettability alteration of carbonate reservoirs. Paper SPE 99848 presented at the SPE/DOE Symposium on Improved Oil Recovery, Tulsa, 22–26 April; 2006. http://dx.doi.org/10.2118/ 99848-MS.
 Jabbari, H., Afsari, K., Rabiei, M., Monk, A.Thermally-induced wettability alteration from hot-water imbibition in naturally fractured reservoirs—Part 1: Numerical model development & 1D models. Fuel, 2017.